ZENTAL Dental Clinic, a centre for dental implants in Delhi, India. Centre for dental implants located in the heart of New Delhi, India. ZENTAL Dental Clinic, the centre for dental implants in Delhi is one of the best dental Implant Clinic in Delhi. We are technologically the most advanced dental, pain cure center in New Delhi, India, many times more advanced than any of our competition. Equipped with the most advanced technology available in our dental implant clinic in delhi, India. Cosmetic changes in the appearances of teeth can be possible to be carried out in a dental set up. To enable this to happen, there are many procedures, collectively called as cosmetic dentistry and can be carried out by dental specialists trained in different kinds of procedures. Although teeth whitening and bonding techniques are part of the cosmetic dentistry field, the dental porcelain veneers are supposed to be one of the most alluring ways to achieve aesthetic appearances. Porcelain laminates came into the limelight in the middle part of the 20th century, when these were designed for artists to change their facial appearance by fixing these laminates for giving a different look. Gradually, the laminates were utilized in dental practice, as the adhesives were improvised to last for a long time over the tooth. Veneers or laminates are designed from various materials like porcelain and acrylics or ceramics. These are made in the shape of the tooth or teeth over which they are to be laid out and hence it is necessary to take an impression of the shape before designing the particular veneers. These materials are fabricated in dental laboratories, and then bonded over the surface of the teeth, which is required to be straightened out or are necessary to hide the chips and stains over the teeth. For many cosmetic corrections, veneers are nowadays the preferred materials in use. In the past, to correct dental irregularities, crowns were the only options. These were placed over the tooth or the irregular teeth, so that the appearance was like fitting a cap over a bad tooth. But, the finishing was lacking from such designs and hence, the concept of veneers and porcelain laminates took ground very quickly. These materials can be used to hide dark staining and discolored tooth, so as to reveal white and bright smile. To elongate the size of the teeth with vertical irregularities, the porcelain crowns were used in the past. But, the dental clinic in New Delhi helps in preparing high quality dental porcelain veneers to be fitted from the front side of the teeth, giving a complete appearance. Small irregularities in the horizontal section can also be repaired by the help of veneers or laminates. 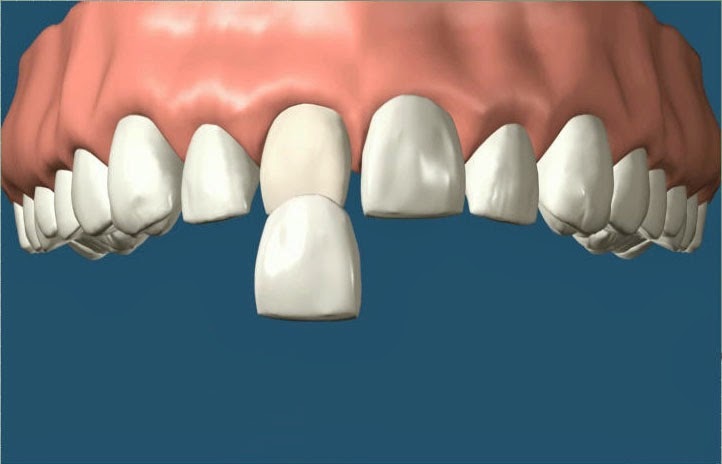 The straightening teeth effect can be recreated by having these materials made up of differing thicknesses. Gum irregularities are also corrected by the dental clinic in New Delhi by the use of dental porcelain veneers. Some dentists go for gum removal by laser beams or surgical corrections. But, for small cover ups of the teeth by the gums, veneers can be successful in hiding the extra gums. Most of the cosmetic dentists in Delhi are performing the straightening teeth procedures with the help of veneers and porcelain laminates. Only for severe cases of irregularities, the orthodontic braces are required. But, little disruptions in the planes of the teeth can be easily corrected by the help of porcelain crowns, which are nowadays being done by the dental porcelain veneers in the dental clinic in Delhi. dr Sharad Gupta delivers the best cosmetic dental treatment in delhi and gurgaon. idenity+ delivers the best cosmetic dentistry and smile design dental clinic in gurgaon.